Local and community financial institutions such as credit unions provide a viable financial alternative for home buyers seeking to be approved for a mortgage loan, especially first-time purchasers. Credit unions are designed and established to serve and financially help a specific local community group. As a result, many were original established for specific trades or employee groups. However, since those early years in the 1970s and 1980s, many of the same institutions now enjoy looser banking regulations, allowing them to compete directly against banks for the same customer markets. As a result, many can apply to become a member of a credit union in their area without having to be part of the original charter group served. Because credit unions are more conservative in practice than banks, they didn't suffer nearly as bad during the 2008 economic crisis and real estate meltdown. In fact, many credit unions still have many of their mortgage issued during those times alive and well today, still being paid timely. This means that these institutions have far healthier portfolios on their balance sheets and can still generally lend to new customers. They are not burdened by the toxic loans and foreclosure many of the big banks still have on their books. The above said, credit unions don't just lend to anyone. They tend to favor members who already have accounts with them including checking accounts, savings, CDs, retirement and similar. Where a credit union sees a member is established and a long-term customer, the institution will go out of its way to help on internal loans to that member. Granted, such applicants still have to have a good credit history and rating, and be timely on any other loans that may be outstanding. 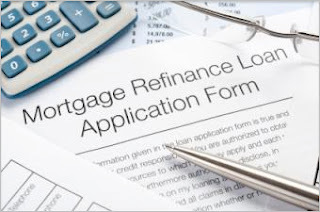 Additionally, many credit unions tend to offer home loans at interest rates that are usually better than what big bank branches offer in the same community. This critical difference can save borrowers approved by their credit union dozens of thousands of dollars over the lifetime of a conventional mortgage. Where possible, every consumer in the New York-New Jersey area should sign up with New Jersey credit unions, even if just with a simple savings account. By establishing a relationship as a member, a borrower can then take advantage of the services and loan benefits of a given credit union, finding far more reception a loan application versus what the post-real estate crash big banks respond with today. About the author: Derek is an active finance blogger. He enjoys giving people advice on their financial issues and also doing taxes for multiple people. The article above is for new jersey credit unions.